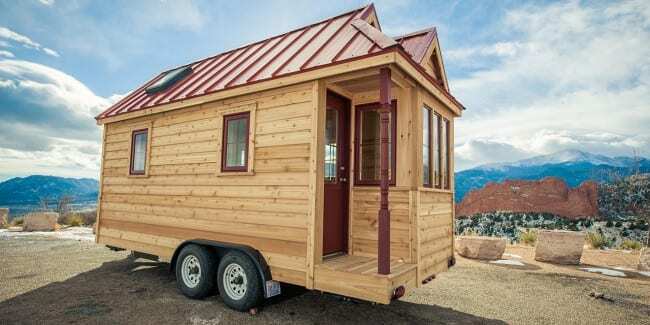 Cypress – Tumbleweed Tiny House Co.
Could you get rid of everything that owns you and live in 400 square feet or less with just the true essentials? Might you be one of those contemporary visionaries, like tiny house pioneer Jay Shafer, who finds that “Extra stuff and extra square footage dilutes a sense of vitality”? 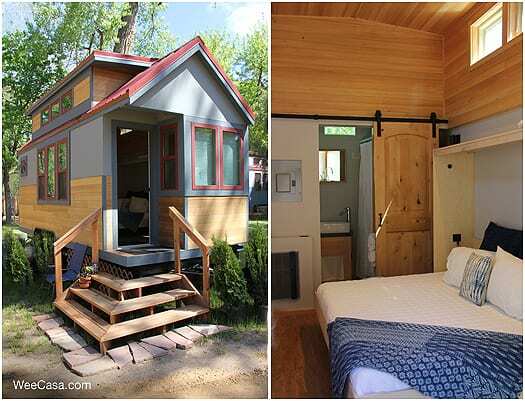 The tiny house movement is on a roll, and whether you decide to feather your cozy nest on wheels or on a foundation, Colorado has an abundance of tiny home resources from which to choose. 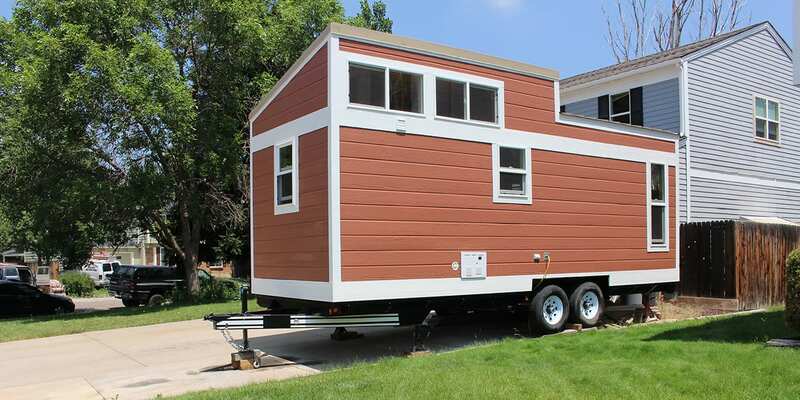 Elm – Tumbleweed Tiny House Co.
A Tumbleweed Tiny House is a certified Recreational Vehicle (RV) that provides superior comfort and total portability. Headquartered in Sonoma, California, with the showroom and construction operations in Colorado Springs, these revolutionary travel trailers offer four popular models ranging in size from 117 to 172 square feet. Sunset from the Cypress kitchen. 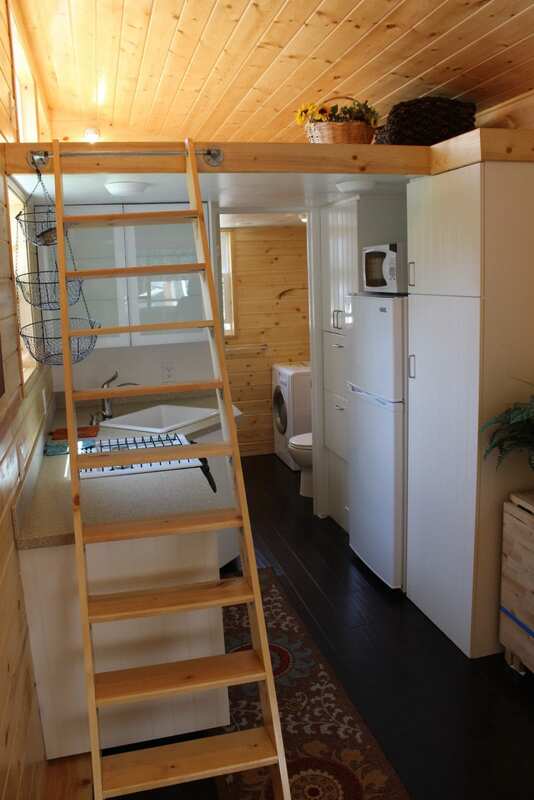 Each model provides a sleeping area, full kitchen, bathroom, and a main room. The floor plans and exterior features are customizable, and Tumbleweeds qualify for the RV financing frequently offered by banks and credit unions. The company will deliver your Tumbleweed right to your door, help you build it, and even teach you every single thing you need to know about constructing your own model in a two-day, Dream Big, Live Tiny Workshop. Presented by actual Tumbleweed owners who built their own homes, these hands-on intensives are staged in several locations around the country, providing the perfect like-minded immersion experience designed to inspire others to take the big/small leap. Master carpenter Steven Coates, his wife Cheryl, and their four adult sons pour their hearts and souls into Tiny Diamond. The intimacy of this home buying and designing experience includes meeting you at the airport holding a sign with your name on it, sharing your design visions over a Cheryl-cooked meal, and helping you choose your fixtures, lights, sinks, showers, and toilets. They’ll even refund $500 of your plane fare if you do purchase from them and take you to Red Rocks if time permits! 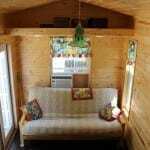 Tiny Diamond Homes offers 20’ x 8’, 24’ x 8’, and 30’ x 8’ models, either unfinished with rough plumbing and electrical or fully finished. The kitchens feature Ikea cabinetry, and the bathrooms are heated and roomy. The company has developed a patent-pending trailer specifically engineered to safely tow their homes. Between Steven’s 37+ years in the building industry and the personal attention of the entire Coates family lovingly doting on your project, partnering with Tiny Diamond Homes in Morrison is sure to yield big results. 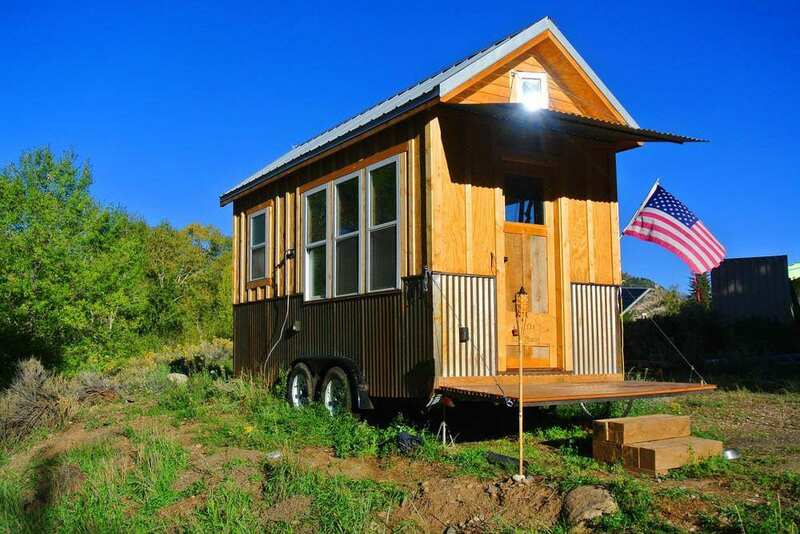 Greg Parham, Rocky Mountain Tiny Houses founder, is happy to discuss your prospective home’s design as you mountain bike down a Durango trail. Parham is a passionate cyclist and lives in his own tiny home on the Animas River with pooch Rocco. His house serves as his design and marketing office as well as the company’s model, traveling to trade shows and hosting by-appointment open houses for visitors. 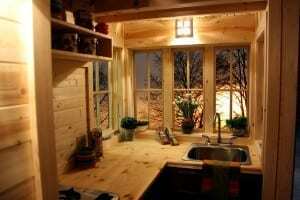 He is also a passionate writer and eloquently lays out his tiny house design philosophy on his informative site. With a background in both construction and architecture, he brings solid practical skills, a diverse knowledge base, the eye of a minimalist, and the heart of the tiny house movement into his very soulful operation. 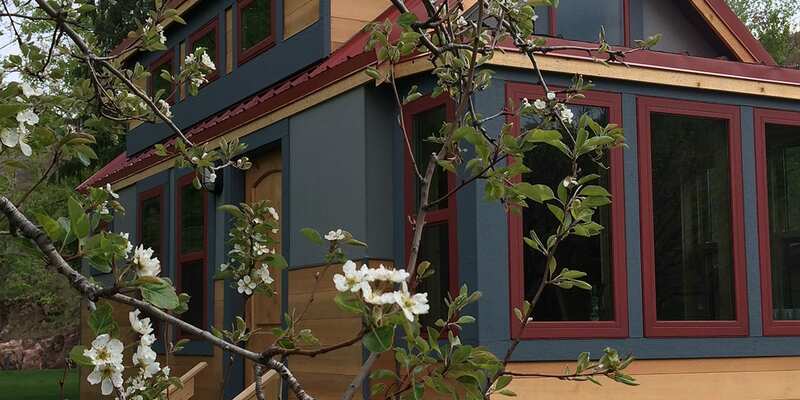 Rocky Mountain Tiny Houses offers a few models Parham can replicate for you, but his decade in architectural design gives him a true zeal for coming up with custom plans that match his customers’ visions. He is quick to point out that he actually lives and works in a tiny house himself, through harsh, snowy winters and sizzling Southwest summers. Parham will partner with you on the design process if you want to build it yourself (providing consultations if needed), or you can hire him to execute the construction. He confines his focus to highway legal tiny houses on wheels (THOW) with specific size limitations. 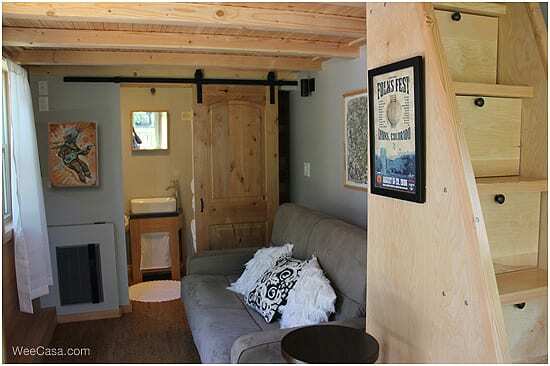 Parham thrives on the design challenge presented by the smaller space, and in true tiny house movement spirit, opts for quality and affordability over quantity and complexity. Less space makes room for more life! 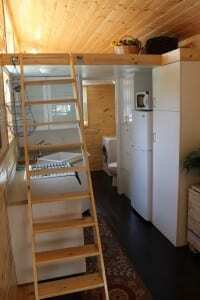 Sprout Tiny Homes built in La Junta. 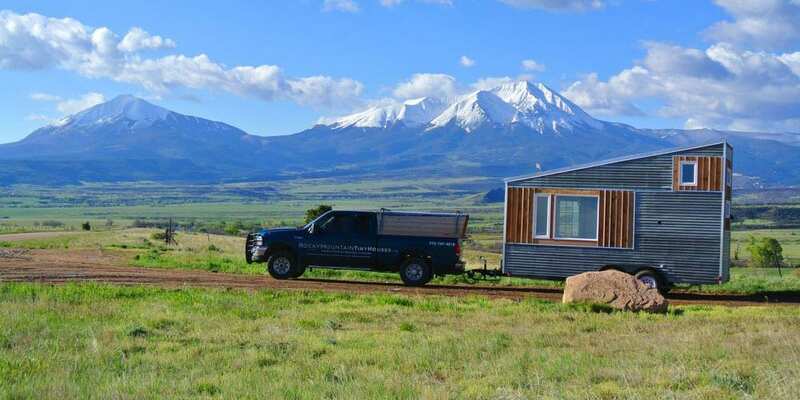 Sprout offers two 20-foot-long tiny homes on wheels or foundations as well as the very eco-conscious and attractive Waterhaus 34 modular unit, all crafted in their 14,000-square-foot controlled environment facility in La Junta. They are also happy to build your shell with roughed-in utilities. 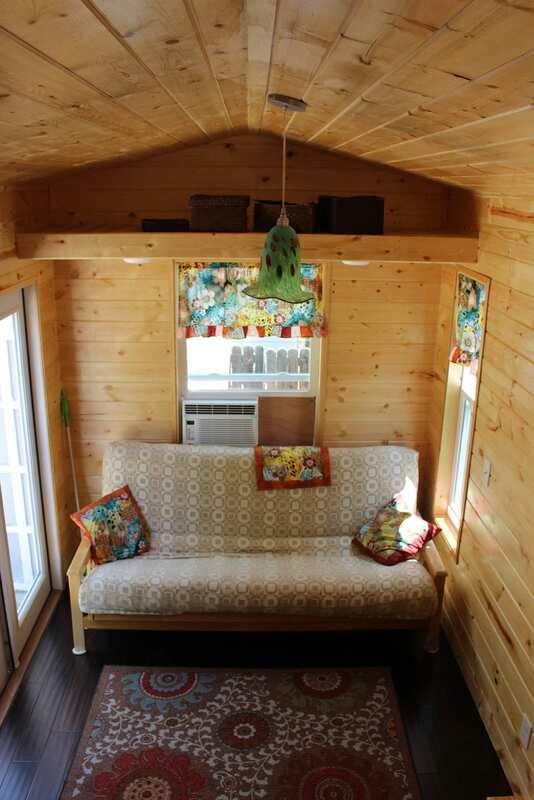 Flex Pods are a new addition to Sprout’s product line — low maintenance, 100-200-square-foot units perfect for off-the-grid use as a potting shed; an artist, massage, or sauna studio; or an envy-of-the-neighborhood, back yard playhouse for little ones. 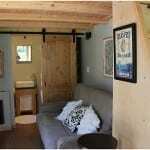 The company is an active and engaged advocate, helping to persuade several Colorado cities to draft tiny-house-friendly ordinances. 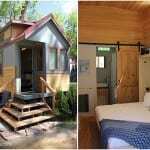 Located in Lyons, WeeCasa Hotel is a tremendously innovative concept. 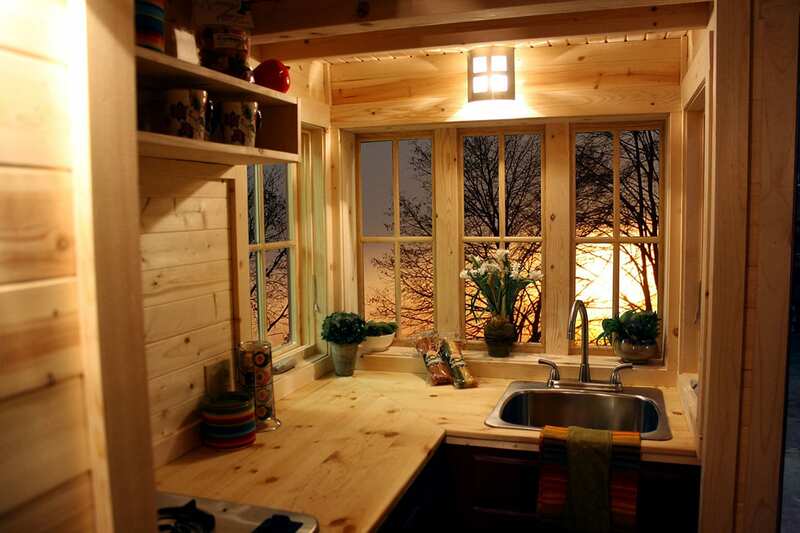 It offers prospective tiny home dwellers the chance to spend a night or two in a model home to get an up-close feel for the realities of inhabiting small spaces. 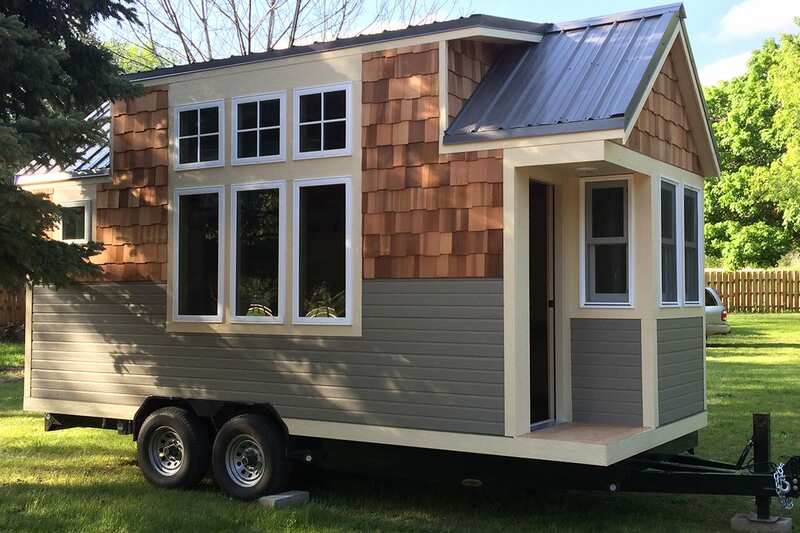 This hotel, showroom, and learning center sells custom, new, and used tiny houses provided by several local builders in sizes that range from 78 to 500 square feet (10’ to 28’). They offer 24 to 72-month “Tiny Financing” and help buyers with zoning issues. WeeCasa accepts tiny homes on consignment, from both builders and private clients, and hosts educational workshops in support of sustainable lifestyles. 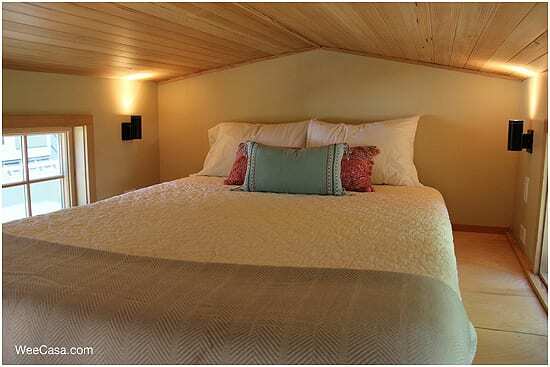 The overnight rental models on the River Bend property sleep from two to four adults, and all are equipped with fully stocked kitchenettes and bathrooms, bedding, and linens. 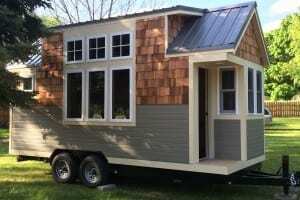 What a fabulous way to try a tiny home on for size! 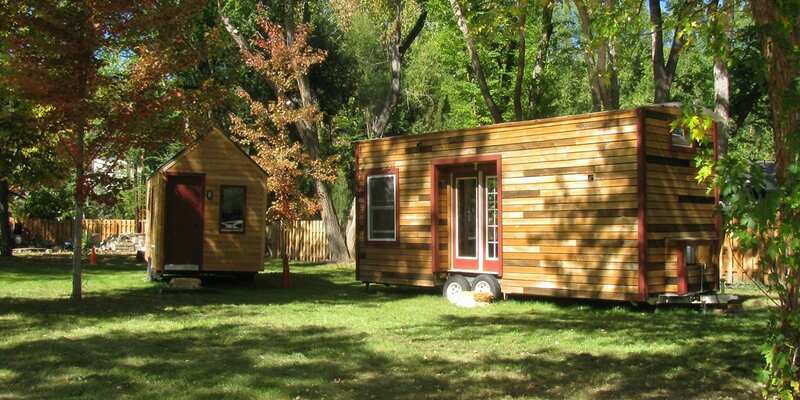 If you’re interested in these tiny homes, mark the date for the Tiny House Jamboree, which happens each summer in Colorado Springs. Reserve consultations, buy/sell, view the latest models from pro builders, hear from keynote speakers and builders awards. 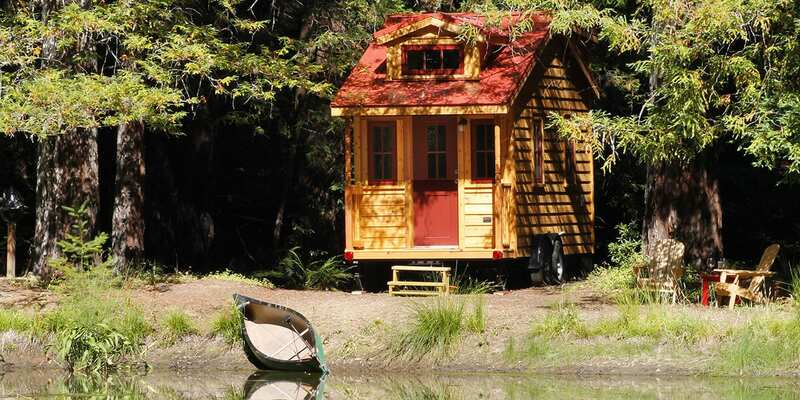 For more inspiration, Tiny Spaces Living shares these 5 tiny houses that range from contemporary to cabin. All are modern and stunning, and unique to each owner’s flair and interest. Read the previous Made in Colorado or see them all.